Our heart works our entire life but sometimes in cases of stress it may cause irregular beating. These irregular beatings are known as palpitations. They could arise as a result of certain cardiac conditions or as a result of anxiety or panic attacks. Most people who experience palpitations have common occurrences of panic attacks and are unable to calm themselves down. As soon as you start noticing an irregular beat, start with propping your feet above your head in lying down position and breathe heavily. Make sure your stomach expands each time you breathe. Exhale slowly using your mouth and pinch your nose when you inhale. You could also use the cough technique. Cough makes the rhythm of the heart get into reset mode. Each time you purposely cough, the heart will reset itself and your palpitations will stop. When you are having a meal, avoid eating too much at one go. If you are binge eating, your body and digestive system need to work more to digest the extra load of food. If one system is undergoing stress in the body, the impact will be put on other systems as well. The heart will also suffer if you are over eating. So avoid eating a lot at a time and have small meals instead of large ones. Stick to foods which have high omega-3 fatty acid content like mackerel and salmon. Make sure you are getting adequate rest in the day. It is advised that you sleep 8 hours at a stretch in the night but mostly people only sleep 6-7 hours of the day. Lack of sleep can also cause irregular heart rhythm so you should pay attention to your sleeping patterns. Cold water helps to calm the body and mind. Each time you are having a panic attack splash some cold water on your face and eyes. If the palpitations are extreme, try taking a cold shower. Take some gulps of cold water if you like and you will notice a drastic reduction in your symptoms. Gulping of water also causes the oesophagus to press against your heart muscles and it will help restart the heart into its normal rhythm. Soothing stress is the way to go with palpitations. If you are under a lot of work load and stress is the major devil in your life then you should plan out ways to get rid of it. Some light yoga or meditation can help you relax. 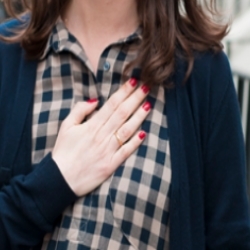 Try simple breathing exercises to get your heart functioning better. Soothing yourself is the best way to work on palpitations.